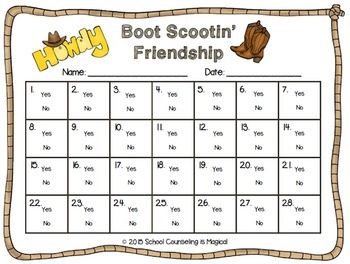 Teach your students the difference between what it means to be a good friend and a bad friend by playing a fun game of SCOOT. 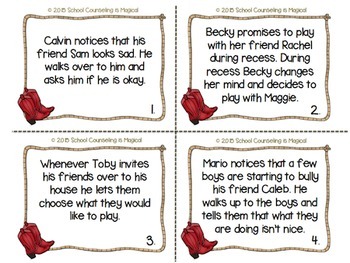 Students will read scenarios and have to determine whether or not the person is being a good friend. 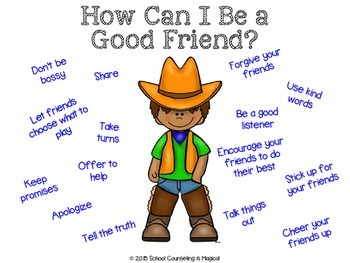 Also included are worksheets and posters to practice identifying good friendship skills. Students should be able to read in order to play this game. Depending on the reading level of students, it may not be appropriate for 1st grade. 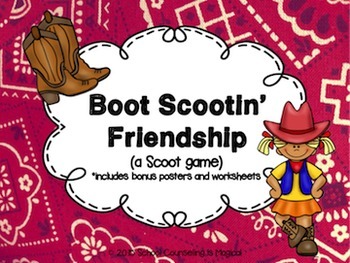 Love this game...pair it up with my Giddy Up Social Skills Game!